Being transparant and selfless in order to help others… is what the stories included in the Providence Redemption Series are all about. These stories inspire us and teach us because we know that everyone is only a few bad decisions away from being on a trek that can lead to the darkness of addiction. So when we found out that one of our program graduates was going to have a featured story in the May 2015 edition of GoodNews Dalton, a Christian Magazine, we were inspired to share it with you. The article is entitled “The Gift of Desperation”, and is a self written testimony that shares Morgan’s inner battles and eventual victories regarding self esteem, purpose, and addiction. Morgan believes that sharing her story not only gives her strength, but allows her to reach other women who may be going through the same issues. We’ve included the article below and a full version can be viewed online at GoodNews Dalton Magazine, at the link below. He said, ‘My grace is all you need. My power works well in weakness.’ So now I am glad to boast about my weaknesses, so that the power of God can work through me. For when I am weak, I am strong” (2 Cor. 12:9 NLT). My name is Morgan Jones. I am 24 years old. I was born in Oklahoma City, Oklahoma, but due to my dad’s career I’ve moved all over the states. My childhood was the ideal childhood; my sisters and I always had what we needed and what we wanted (within reason). While younger, I didn’t seem to mind the moving, because I loved having friends all over the place and being involved in different activities and sports. In 2006, we moved at the end of my freshman year in high school. This made a bigger impact on me than anyone expected. I started hanging out with the wrong people, and my grades started to drop. I became less interested in cheerleading and more in materialistic things and boyfriends. I wasn’t comfortable and wanted to be noticed. I never had a weight issue, but I started to take my health class a little too seriously and began eating less, which led to my battle with anorexia. My normal weight (120 pounds) dropped to 87 pounds in less than a year. Anorexia took control of me, but I was finally getting the attention I asked for. Complements like “wow, you look so good!” Or “how do you stay so skinny?” Started turning into “you don’t look good,” and “you are too skinny.” By this point, I couldn’t stop. It’s wasn’t until I discovered alcohol that my eating disorder took a sidestep. I remember my first drink like it was yesterday because it was love at first taste. My eight-year romance with alcohol began. It’s all I wanted, every weekend and every day. I was lying, stealing, sneaking, and avoiding – doing whatever I needed to do to get alcohol. At college, it got worse, which led to academic suspension, depression, no self-worth, and one eye-opening suicide attempt. By the time I was 23, I had admitted myself into and completed nine rehabilitation treatment centers, not including medical detoxes. Beyond that, I have lost count. It wasn’t until I came to Providence Ministries October 2014, that I began to find myself again. Alcohol had taken everything. I realized no alcohol, substance, or human power could rescue me from myself. It was (and only is) He who has the power to bring me outs of my sickness and into His glory. I was tired of losing things like school, jobs, relationships, and opportunities because of alcohol. I am still in disbelief that God gave me so many chances, as well as my family, and to that I am eternally grateful. Providence has helped me find who I am in God’s eyes and not society’s. Every day I discover something new about myself and I believe that sharing my story with other women in this program helps me more than it helps them. Only God knows where I could be without them. I carried so much shame, but now I am proud to boast about my weaknesses because when I am weak, I am strong! 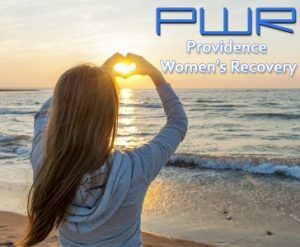 Morgan has become a wonderful member of the Providnence Ministries team and is a contributor to ProvidenceWomensRecovery.com. If you know someone who is struggling with an addiction to a substance, behavior, or sin, please give us a call at 706-229-7775.